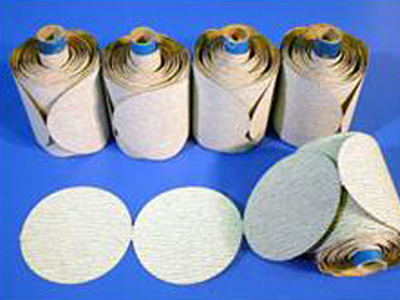 Auto cutting and stacking of jumbo roll abrasive sandpaper material. 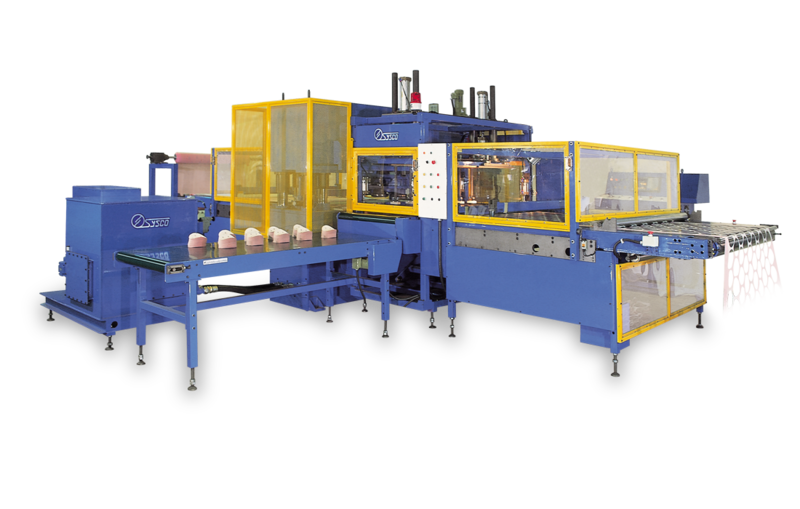 Three sets of servo motor position systems, position accuracy ± 0.2mm. 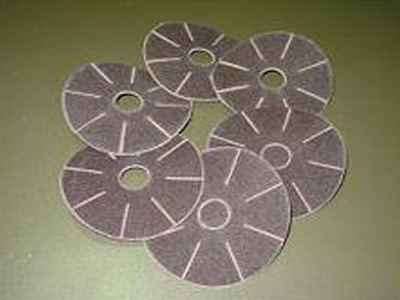 Working capacity up to 57,600 pieces of abrasive disc per 8 hours with two cavity cutting die to cut two plies of roll material. User friendly computer control and 100 cutting program memory provides easy operation. Cut part auto knock out & stacking system will stack cut parts to preset quantity ready to be packed. This function can save several workers. 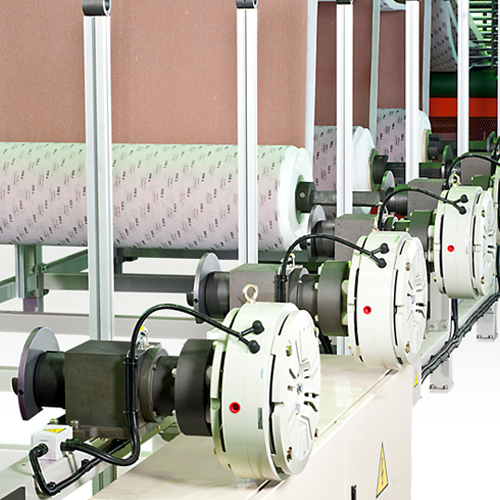 Auto cutting directly from jumbo rolls can not only simplify manufacturing process, but also achieve material savings up to 15%. 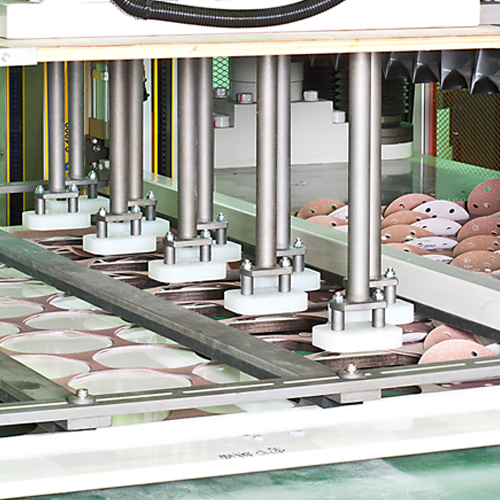 Unique stainless steel grid plate feeding device & stacking system can achieve perfect feeding & stacking results for all kinds of non-woven felt, velcro backing, and pressure sensitive adhesive(PSA) release paper backing of abrasive sandpaper material. 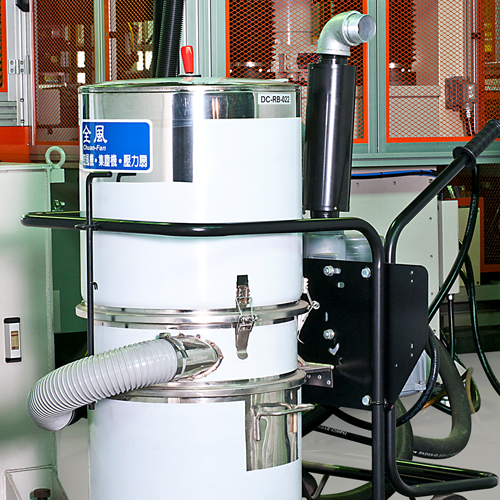 Separate sealed hydraulic unit with external line filter and seal-protected moving parts protects against abrasive entry and can provide excellent machine durability. 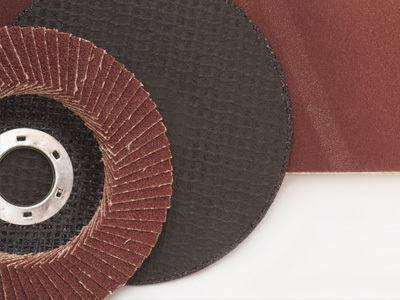 Unique function cuts deeper automatically to compensate for worn-out die blade edges and obtains excellent clean cut parts. 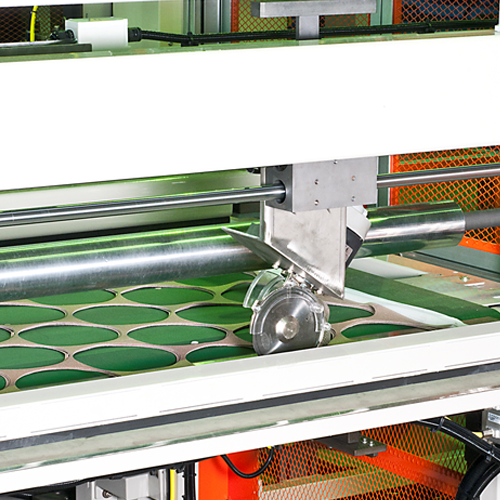 Motorized 4 post mechanical stops stroke control device allows the cutting die to just touch the cutting surface and therefore can provide excellent die and pad life.